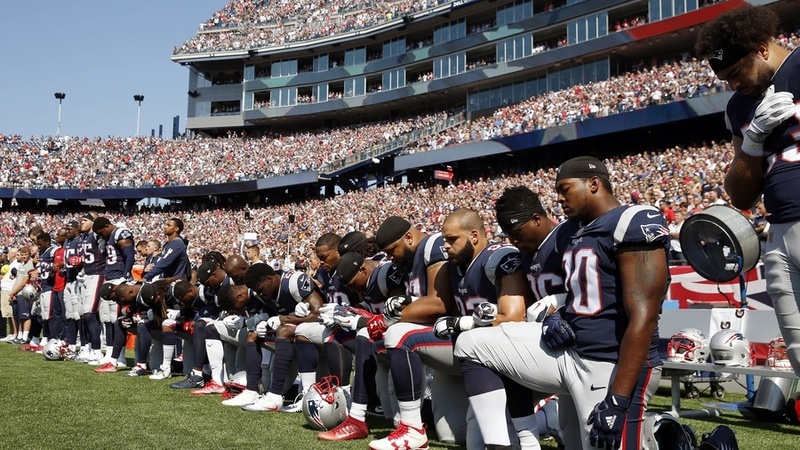 Sixteen players took a knee prior to kickoff this past Sunday, and most of the rest stood with their arms interlocked. Wide receiver Brandin Cooks, who took a knee, said Sunday that he believed it would be a one-week demonstration, and slot receiver Danny Amendola reiterated that yesterday. It will be interesting to see whether or not those comments remain true after 4some Pats fans organized a jersey-burning ceremony for players who kneeled last week. Though Amendola and Cooks seemed fairly confident on Thursday, the news of the rally may spur a second week of kneeling in counter-protest. We'll have to wait and see until tomorrow at 1 PM to confirm for sure.